Cape May Convention Hall set for a banquet. 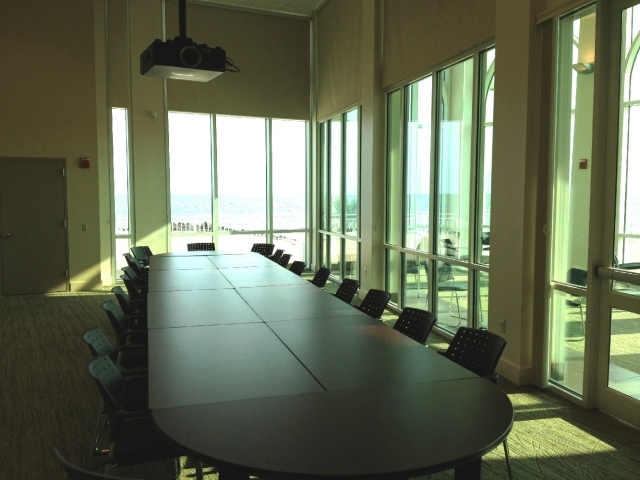 Conference room in Cape May Convention Hall. 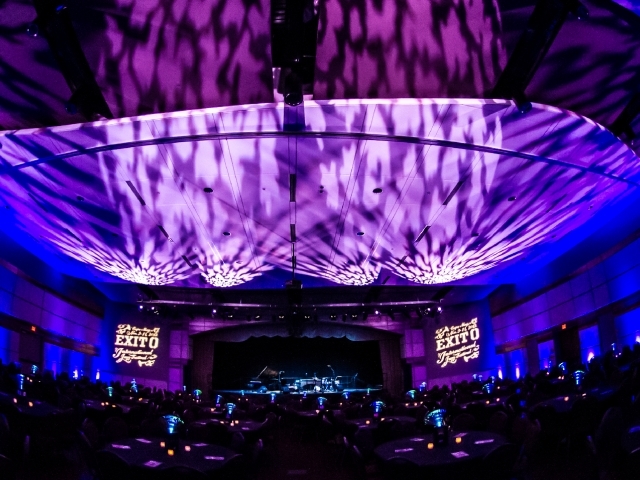 Cape May Convention Hall hosting the Exit 0 International Jazz Festival. 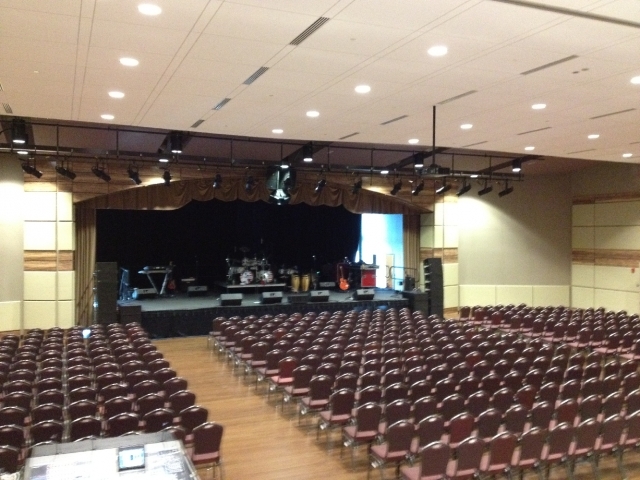 Traditional concert layout at Cape May Convention Hall. 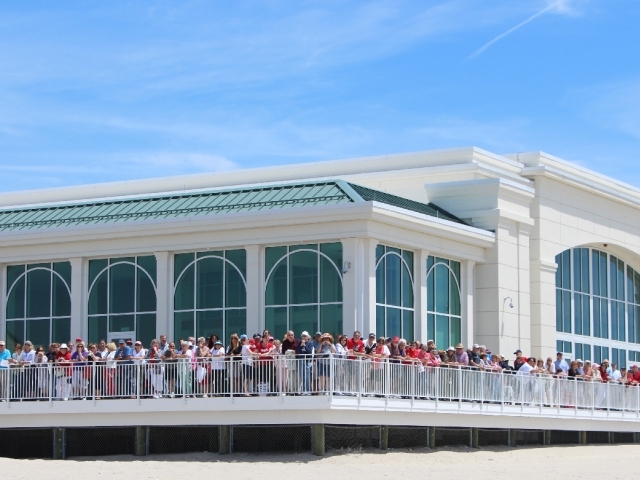 Cape May Convention Hall facing Beach Avenue. 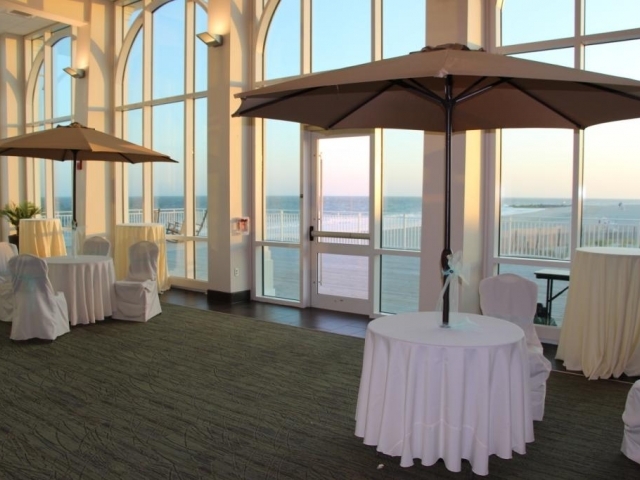 Pre-function space in the solarium at Cape May Convention Hall. 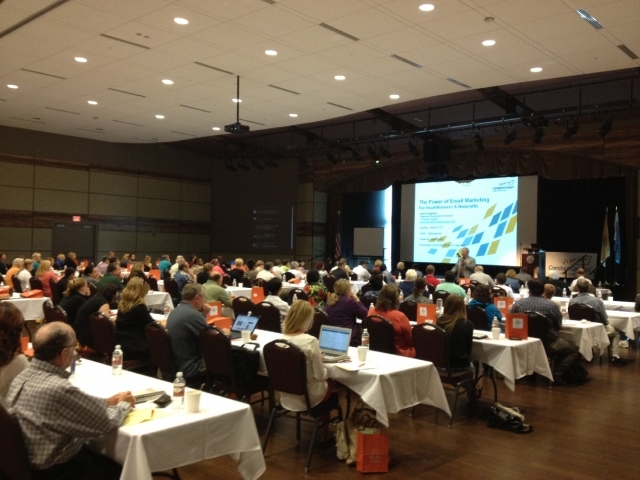 Cape May Convention Hall hosts Social Media Day Seminar. 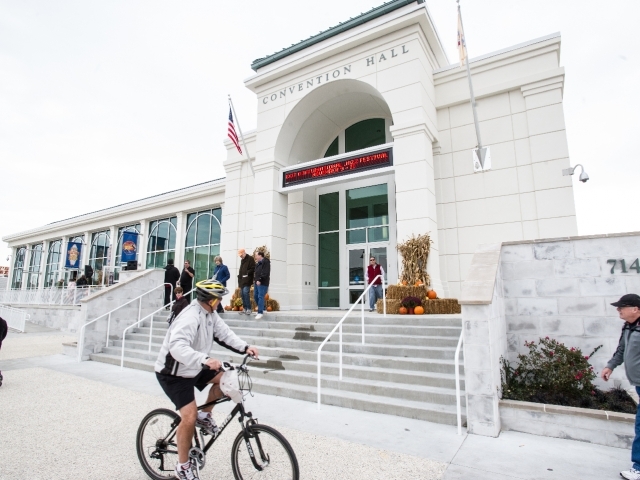 Cape May Convention Hall is a state-of-the-art facility located in one of the Mid-Atlantic region's most desirable destinations. 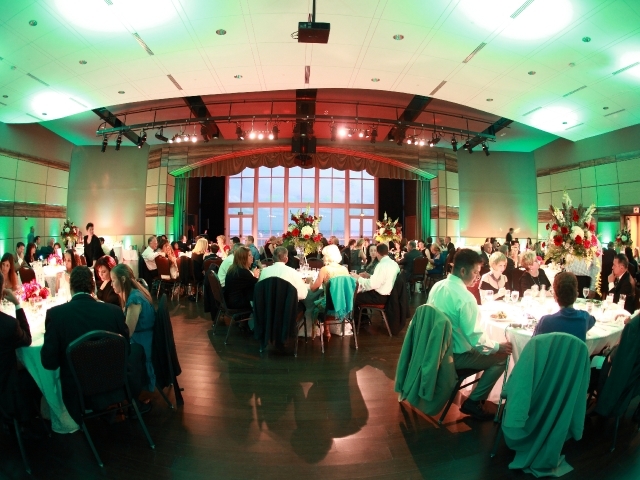 Situated directly on the beach, the 20,000 square-foot facility features two event halls, a catering kitchen, a meeting room, a wraparound deck, and a multi-purpose atrium with an unparalleled view of the beach and the ocean. Cape May is an upscale resort so there is always a variety of accommodations available, and the pedestrian- and cyclist-friendly layout of the town makes it an attractive alternative to busy urban areas.